Deepika Padukone, who has a fruitful year, is all set to kick-off her 2019 with all the glamour and galore. 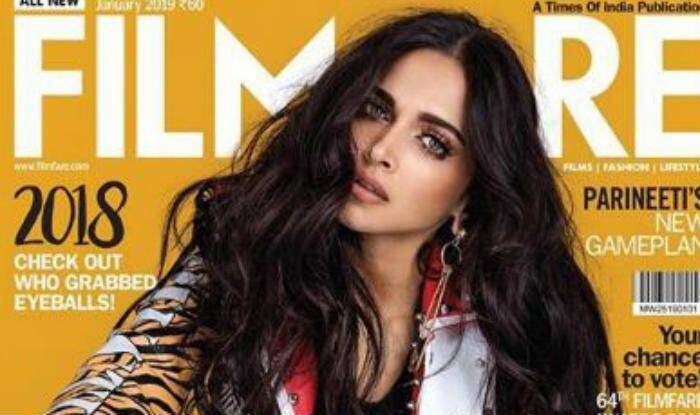 She is all geared up to be featured on the cover of January 2019 of Filmfare magazine. Earlier, her cover picture was out and now the inside pictures are doing rounds on the internet and we must tell you that she looks hot than ever. In the pictures, Padmaavat actress is seen wearing bright colours for the photoshoot. Dressed in a blue sequined bodycon dress, she has teamed up her look with graffiti printed jacket. Well, her latest photoshoot is undoubtedly all about vibrant prints and colours.